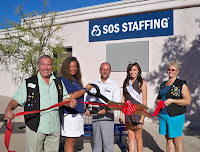 SOS Staffing celebrates a 5 year anniversary with the Lake Havasu Area Chamber of Commerce Ambassadors with a ribbon cutting ceremony. Located at 2093 McCulloch Blvd. 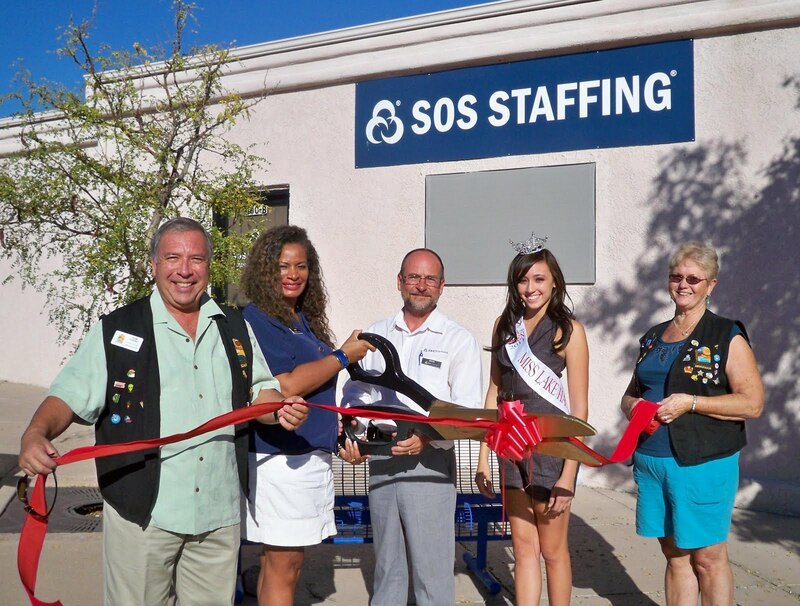 N. #100, SOS Staffing offers a variety of services to the area. Localized payroll, employee selection, skills assessment, employee attendance and retention programs as well as other services can be handled by SOS Staffing. On hand for the ribbon cutting from left to right are: Tom Otero, Carol Neidermann, Bruce Bollinger & Taelin Delyria. For more information contact SOS Staffing at 453-4044.